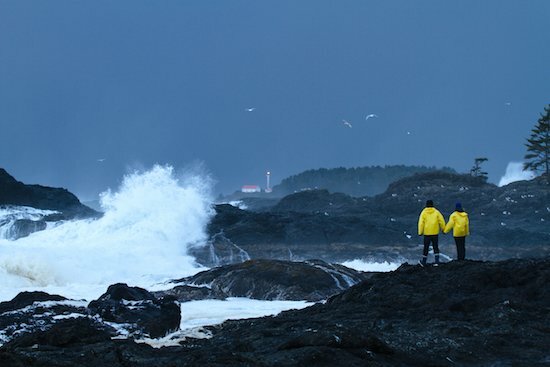 TOFINO, BRITISH COLUMBIA — It’s late November and I am flying to Tofino to take part in a growing phenomenon that has gained nearly as much coverage as surfing — storm watching on the Pacific coast. My short flight on Orca Air from Vancouver took place on a fiercely sunny and clear day. In fact, the forecast for the three days I was going to be in Tofino didn’t call for nary a raindrop. Even though I had come for storm watching, I wasn’t about to complain about the sun-drenched weather. As soon as I landed, with the wind gently whipping my face, I took in the wild beauty of Chesterman Beach, just outside the doors of the Wickaninnish Inn. 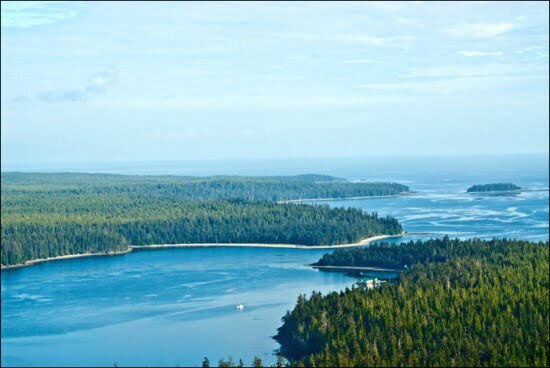 But it isn’t just the sun that has people visiting from all corners of the world, but the raw natural beauty for which Tofino is renowned. The village was named Vacay.ca’s No. 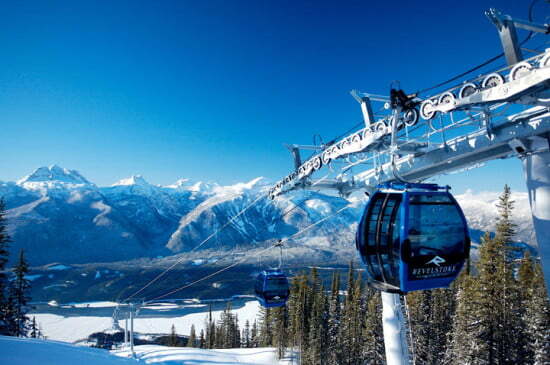 3 Best Place to Visit in Canada for 2016 because it has emerged as more than just a summer destination — thanks largely to the popularity of its storm-watching opportunities. In the fall and winter the waves can reach heights of 15 to 18 feet, as they crash against the rocks. I arrived around noon and checked in at the five-star Wickaninnish Inn. My suite took full advantage of the spectacular ocean views, with a luxurious down duvet-covered bed and a cozy fireplace next to the floor-to-ceiling window. At night, I sat on our deck in Adirondack chairs, snuggled in a wool blanket, sipping a glass of wine while listening to the ocean soundtrack. Earlier in the day, I had visited the hotel’s Pointe Restaurant — which boasts breathtaking views of the coastline from every table. Executive chef Warren Barr crafted a menu full of locally sourced, and as much as possible, organic ingredients from the island. The fine-dining eatery showcases a weekly four-course tasting menu, which you can order with or without wine pairings. I opted for the albacore tuna salad, which featured thick slices of raw tuna on a bed of citrus infused greens. Before dinner, I took time to check out what Tofino had to offer. We meandered in and out of an eclectic mix of quaint artisan shops. Then it was off to Shelter Restaurant for a culinary treat. Like most restaurants here, Shelter serves up some of the province’s freshest and most sustainable seafood. This rustic yet sophisticated eatery is laid-back country chic with its wood ceilings and floor-to-ceiling fireplaces. It offers a sumptuous and innovative menu, using locally produced ingredients. For our entrees, I went for the red Thai coconut curry, chockful of locally sourced halibut, lingcod, salmon and more. After dinner, I sat by the roaring fireplace to enjoy a glass of Burrowing Owl Cabernet Sauvignon. On the following day, the sun was barely up when I decided to head out for a walk. 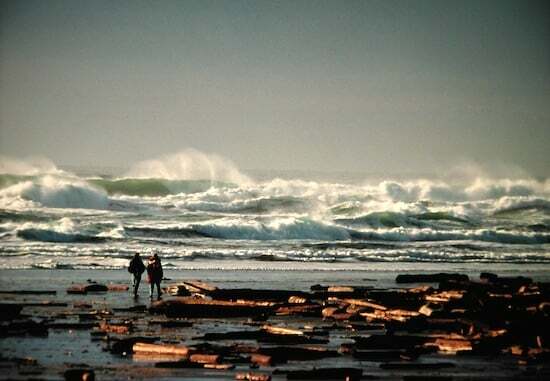 One of the best places I know to take in all that makes Tofino so great is Pacific Rim National Park, a 16-kilometre (10 miles) strip of sand framed by windswept, old-growth conifers and tangled driftwood. You can walk all day or climb Incinerator Rock for stunning ocean vistas. With its sandy beaches, towering rain forest and abundance of wildlife sightings, you can spend hours exploring this vast park. My walk was just steps from both the Wickaninnish Inn and the Chesterman Beach B&B. Voted TripAdvisor’s Top B&B in Canada in 2013, the Suites and Cottage at Chesterman Beach include a Zen-inspired retreat nestled in the old-growth trees and oozing with rustic charm.The beach it’s on boasts a 2.7-km (1.7 miles) stretch of white sand, showcased by uber-luxurious homes, tide pools and sandspit to Frank Island. Once I checked in, I was ensconced in the charming Lookout Suite — with its four-poster bed, large soaker tub and gas fireplace. I spent a few hours lulled by the sound of the waves as I cozied up reading, awaiting the tides to grow higher as they rolled in. Getting there: The fastest and best way to go is by air. Orca Air flies frequently from Vancouver International’s South Terminal. 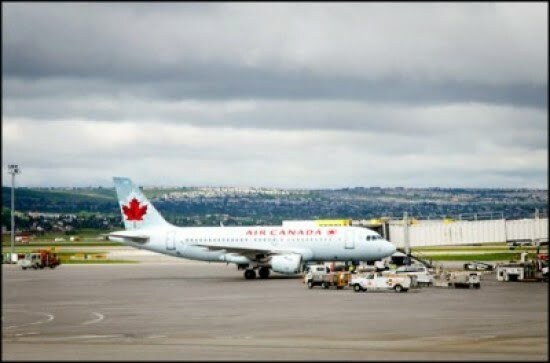 Visit: www.flyorcaair.com or call toll free at 1-888-359-6722. The flight is less than one hour. By Car: BC Ferries goes to Nanaimo from either Horseshoe Bay or Tsawwassen terminals. Then, it’s about a 2.5-hour road trip. 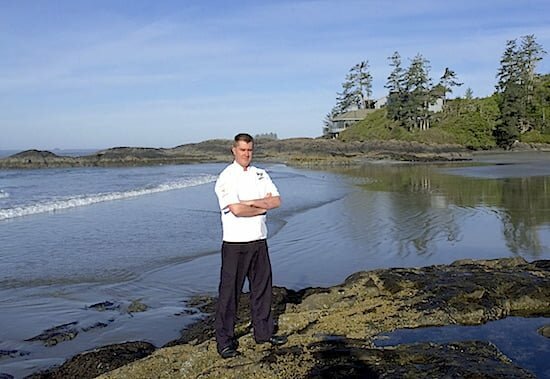 Where to Stay: Wickaninnish Inn is a Relais & Châteaux property on Chesterman Beach. Telephone: 1-800-333-4604 (toll free). Website: www.wickinn.com. Room Rates: $300 (Sunday to Thursday); $340 to $975 per night (weekends). The Wick has seized a prime position on this particular stretch of sand and specializes in giving its guests a front-row seat for some of Tofino’s best storm watching. 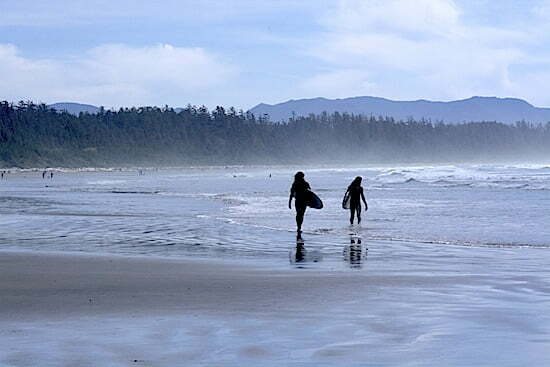 Chesterman Beach Bed & Breakfast: The Suites and Cottage at Chesterman Beach are a favourite with travellers looking for privacy and comfort right on the beach. Telephone: 1-250-725-3726. Room Rates: $185 to $255 during storm-watching season. Vacay.ca Tip: If you prefer storm-watching from the comfort of your room, then alternatively wrap yourself in a blanket, grab a good read from the bookshelves and watch the weather from a window seat. The best storm-watching season runs from November to March.